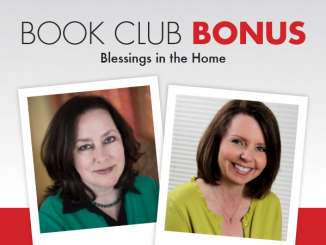 Editor’s note: Jump into our online book club! 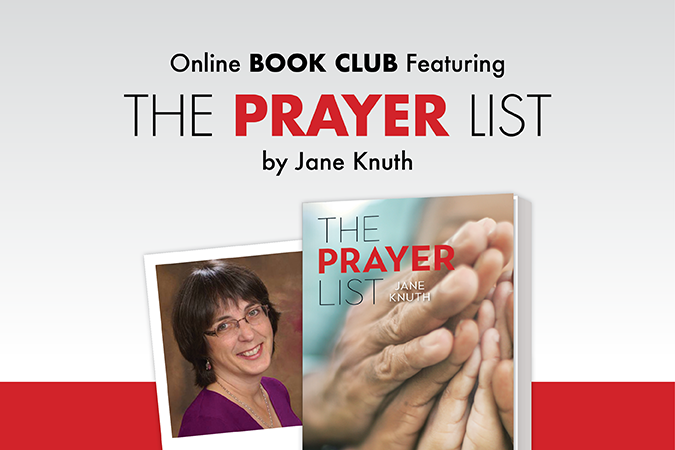 We’re reading Jane Knuth’s The Prayer List…and Other True Stories of How Families Pray. This week we focus on chapters 10–12. Learn more about the book club here. 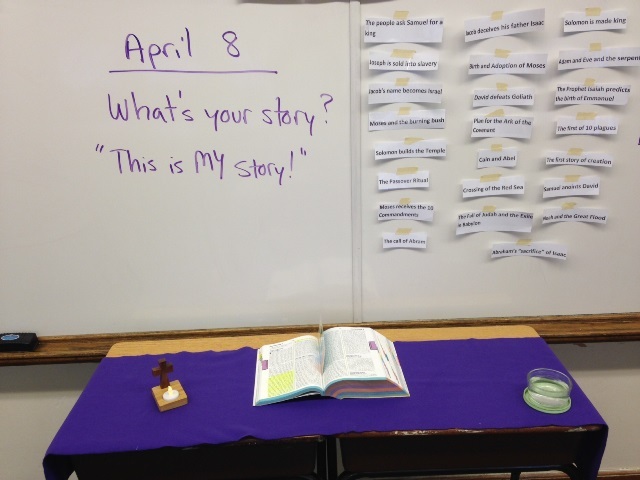 Today, I have a story about family prayer that is not in The Prayer List. This one requires a visual, so go put your hands on a set of rosary beads before you read any further. If you don’t have a rosary, that’s fine; a simple necklace of any kind will work. My daughter, Ellen, age seven, had just made her First Holy Communion, and I had followed tradition by buying her a pretty rosary, along with a prayer book. She took the prayer book with her to Mass a couple of times, but it didn’t really grab her imagination. The rosary, however, was something that she toted along on errands, draped over her stuffed animals, and generally kept out in the open and close to hand in her bedroom. One day, I was reading out loud to her and her little sister, Martha. Martha was tucked in my lap, turning the pages, while Ellen sprawled across the sofa, legs in the air. She was listening to the story, but she also had her rosary beads in her hands, playing with them by looping the sparkling beads through her fingers and rotating the loop. “Look,” she answered. “No matter how I hold it, it always smiles. I can’t make it frown at all.” She held the rosary with both hands over her head, her fingers about eight inches apart on the loop, (go ahead and do this with your beads), and moved them to different places, but sure enough, the beads always formed a smile. She changed her hand positions several times to demonstrate the phenomena. And ever since that day, the smile in my rosary beads always makes me smile, too. I love the way children pray. Do you have a favorite story about praying with your children? In chapter 11, the Muslim families shared stories of praying with their children. The Syrian family broke my heart because of the disaster that is taking place in Syria. The little daughter led the parents not only to teach her to pray when she was very young, but also, to create a sacred place in their home for prayer. Those wise parents let her lead. Have you ever let a child lead you in praying? I was a catechist for 7 years and have been a youth minister for 14. I am often struck by the serious prayers of our children, the things they and their loved ones have gone through. Giving them an opportunity to pray out loud in community helps all of us see that we all need prayer.